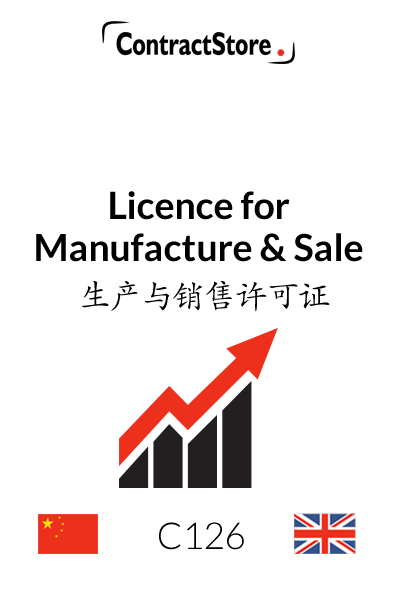 This manufacturing licence is in two languages – English and Chinese. 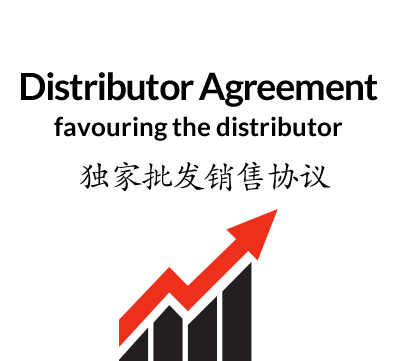 The agreement is suitable where the inventor of a product licenses a company to manufacture and sell that product in return for a licence fee and royalties on sales. Some defined terms are set out here. Note that the definition of IP Rights assumes that existing patents and trademarks will be listed in a Schedule to the Agreement. An arrangement such as this will need to be long-term, especially if the development phase before the product is ready for the market is going to involve substantial time and expense on the part of the Licensee. We have provided here for 10 years but 5 to 20 years is not uncommon, especially if there is a lot of development work in the early stages. Development of a new product is not an entirely straightforward matter and the Licensor’s input is usually going to be needed. This clause provides for this but does limit the Licensor’s commitment of free time. We have provided for the Licensor to be paid a consultancy fee in certain circumstances. In today’s global market, the manufacturer of a successful product will be thinking about overseas markets. We have provided, in this case, for the basic territory to be specified in clause 1. 13.5 Severability: If any part of the Agreement held by a court to be unenforceable or invalid, the remaining provisions of the Agreement will continue in effect. 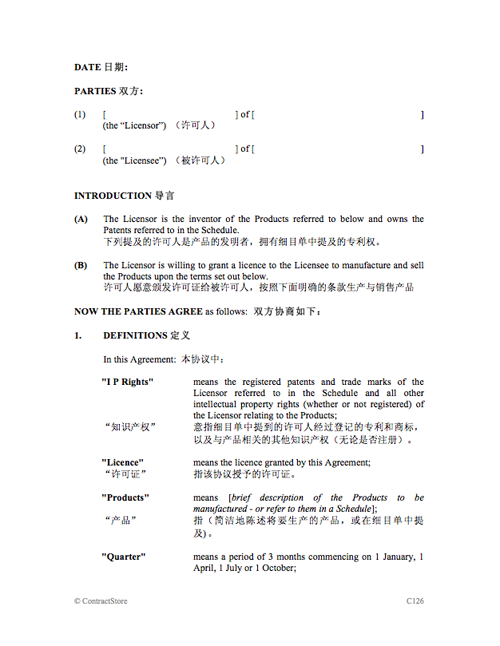 This clause specifies the ruling language of the Agreement – either English or Chinese in 14.1. 14.2 specifies the governing law – i.e. 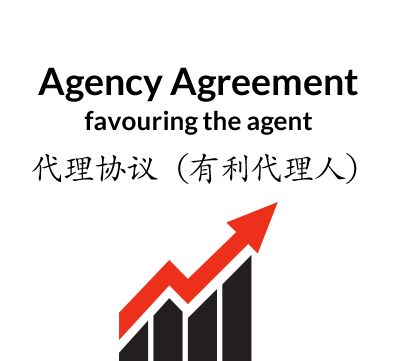 the law of the country that will be applied when interpreting the contract. 14.3 provides for the parties to try to resolve any dispute by direct negotiation. If this fails, the dispute will either be referred to the courts or to arbitration and we have alternative versions of 14.4, one of which should be deleted. If the courts are preferred to arbitration, the country to be selected will normally be the same as that in clause 14.2. If arbitration is chosen, the arbitral tribunal needs to be specified and we have suggested either CIETAC, China International Trade and Economic Commission, which is based in China or the LCIA, London Court of International Arbitration, which is in London. There is free information on our website concerning governing law and arbitration.